At Baselworld 2016, Patek Philippe presented the new World Time Ref. 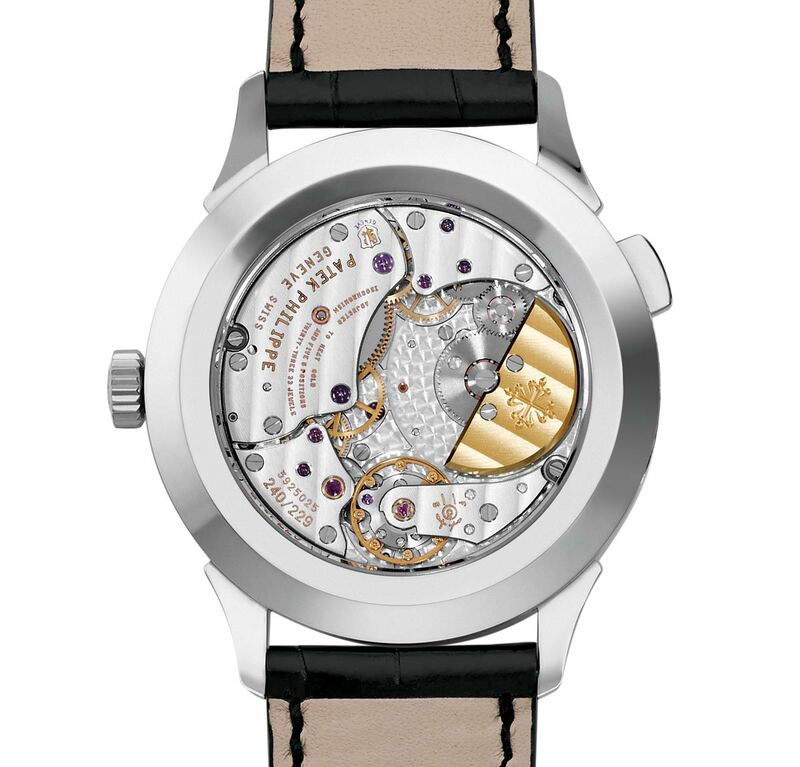 5230, an updated version of one of the most popular complicated wristwatch created by the Geneva watchmaker in the last eighty years. 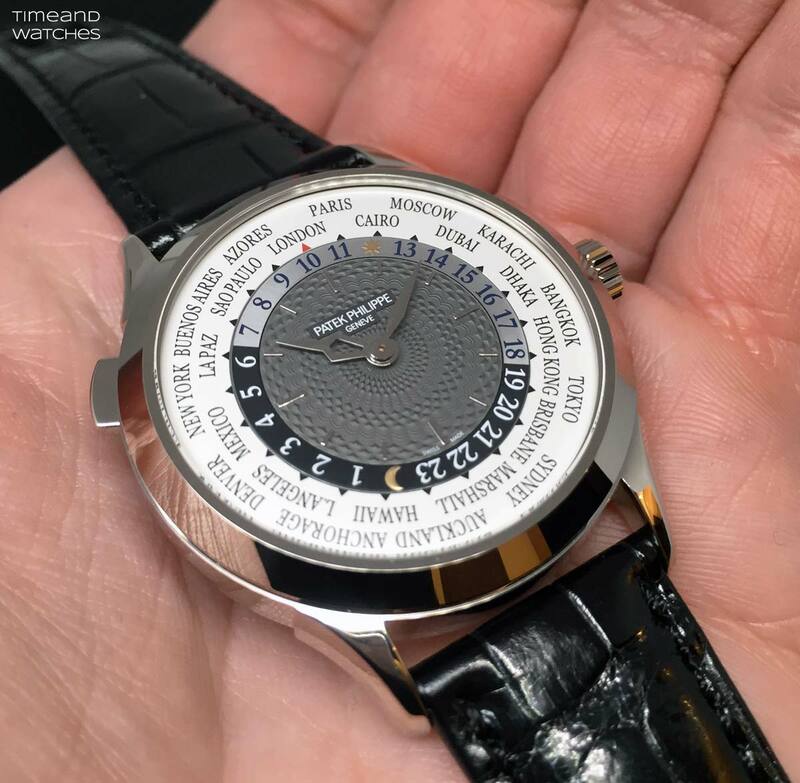 Taking the opportunity from the recent change of some time zone designations, Patek Philippe has successfully reworked case, dial, and hand designs. 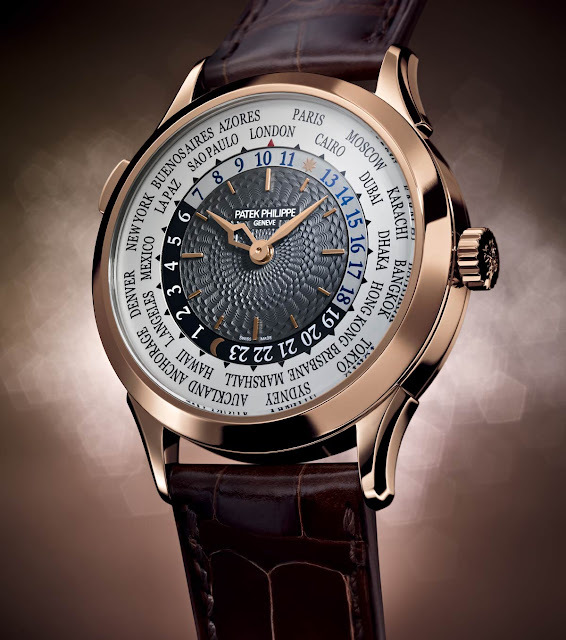 This way, the new World Time Ref. 5230 shows the current division of the planet in 24 time zones with Dubai instead of Riyadh, Brisbane instead of Noumea, and Moscow relocated to UTC+3 from UTC+4. 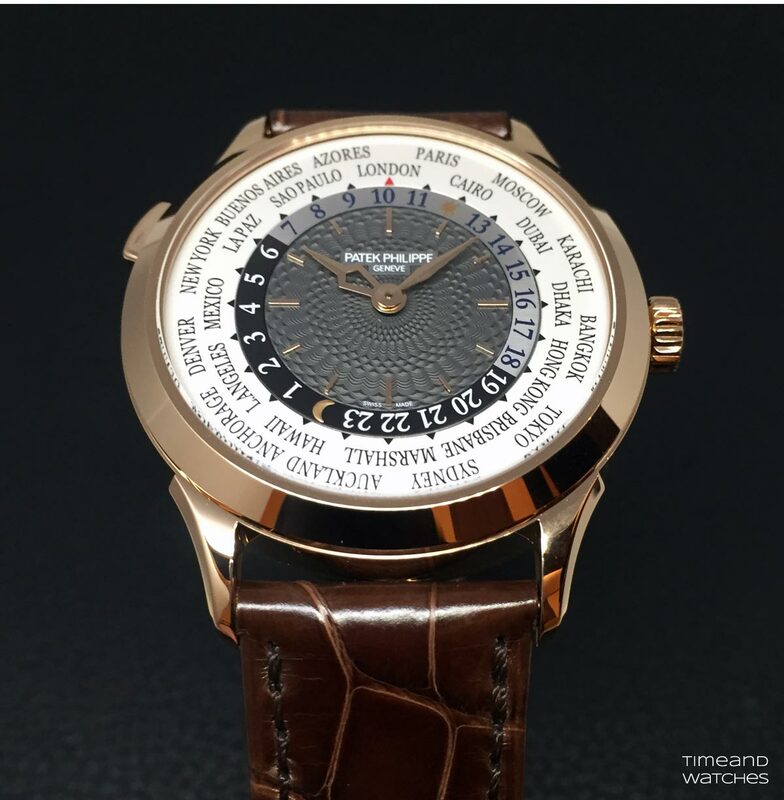 Available in white or rose gold, the Calatrava case of Ref. 5230 has a diameter of 38.5 mm (thickness is 10.23 mm) with some design elements like the winglet-style lugs and the narrower polished bezel to set the watch apart from its predecessors. The hand shapes significantly contribute to the new look. Reference 5230 now sports a pierced hour hand with a silhouette that evokes the Southern Cross constellation, and the minute hand features a lozenge-shaped contour. Both hands have a sharp centre ridge between bevelled flanks. Like the applied baton hour markers, they are crafted from white or rose gold to match the case. The black dial centre of the new Ref. 5230 features a hand-guilloched decor whose filigreed woven pattern was taken from a precious pocket watch on display at the Patek Philippe Museum. Interesting to mention, the manually controlled rose engine used to create the guilloché decoration is almost one hundred years old but, thanks to constant service, it works as reliably today as when it was first put in action. 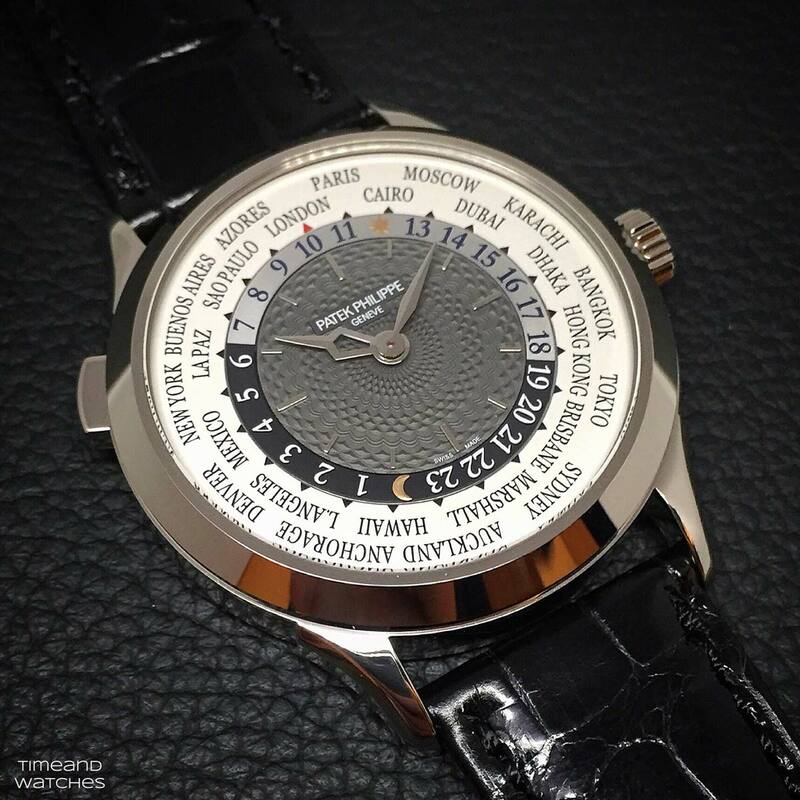 The watch shows all 24 world time zones at a glance. The local time is most prominently displayed with the hour and minute hands for the time zone whose assigned city name is just above the small red arrow at 12 o'clock while the times of the other 23 zones are readable on the 24-hour ring that rotates counterclockwise within the city disk. When travelling into a different time zone, the pusher in the case at 10 o'clock is pressed as often as needed to align the respective city name with the red arrow at 12 o'clock. 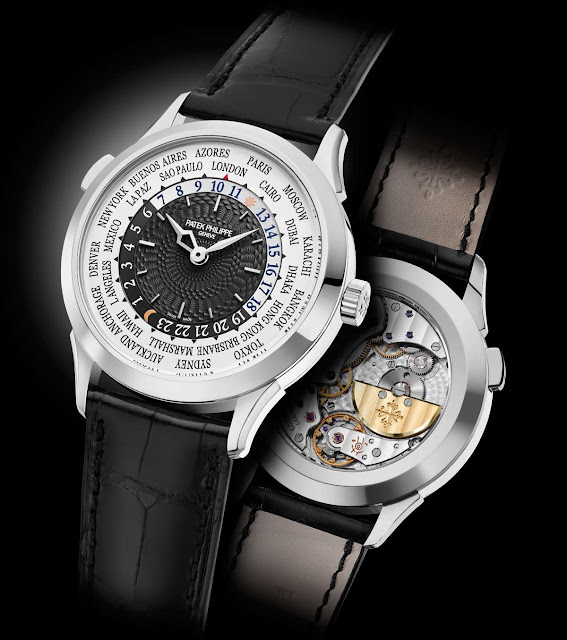 During this process, the time-zone mechanism is uncoupled from the movement so that the accurate progression of the minute hand and the amplitude of the balance remain unaffected. 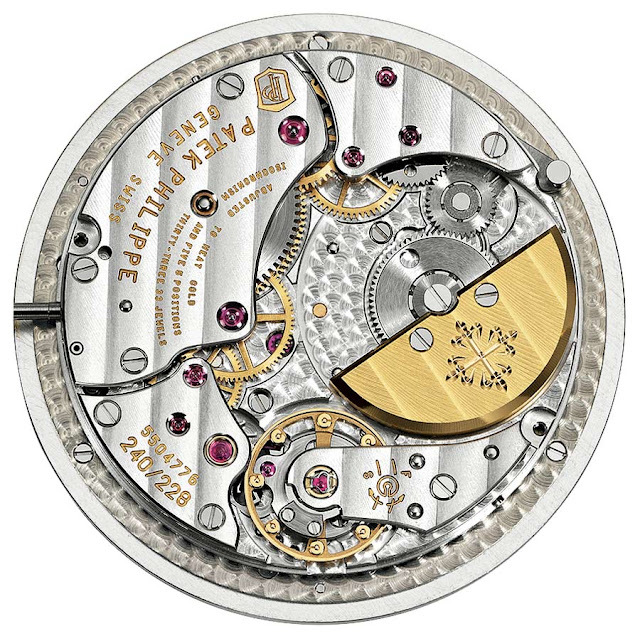 The self-winding mechanical movement, Calibre 240 HU, beats at 21,600 vibrations per hour with a power reserve of 48 hours delivered by the micro-rotor integrated into the level of the movement bridges. With a tolerance of -3 to +2 seconds per day, its rate accuracy exceeds all customary chronometer standards. Patek Philippe World Time Ref. 5230. 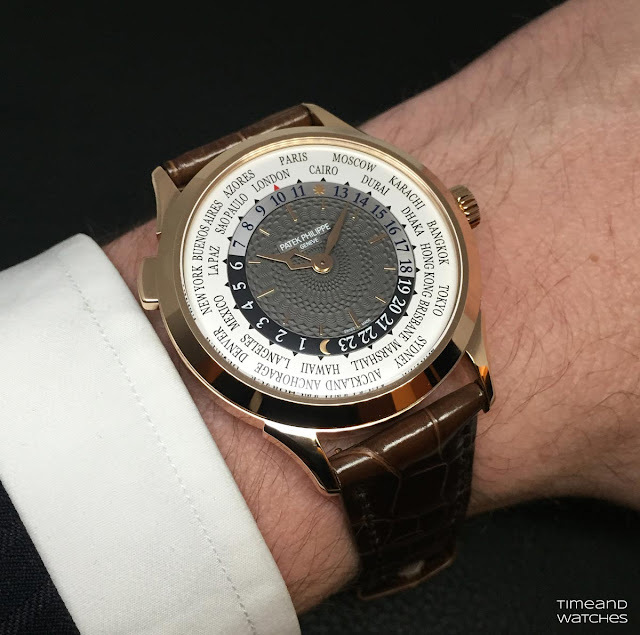 At Baselworld 2016, Patek Philippe presented the new World Time Ref. 5230, an updated version of one of the most popular complicated wristwatch created by the Geneva watchmaker in the last eighty years. the new World Time Ref. 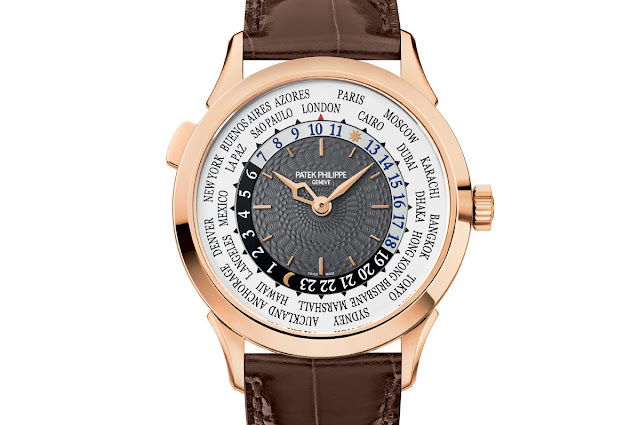 5230 shows the current division of the planet in 24 time zones with Dubai instead of Riyadh, Brisbane instead of Noumea, and Moscow relocated to UTC+3 from UTC+4. 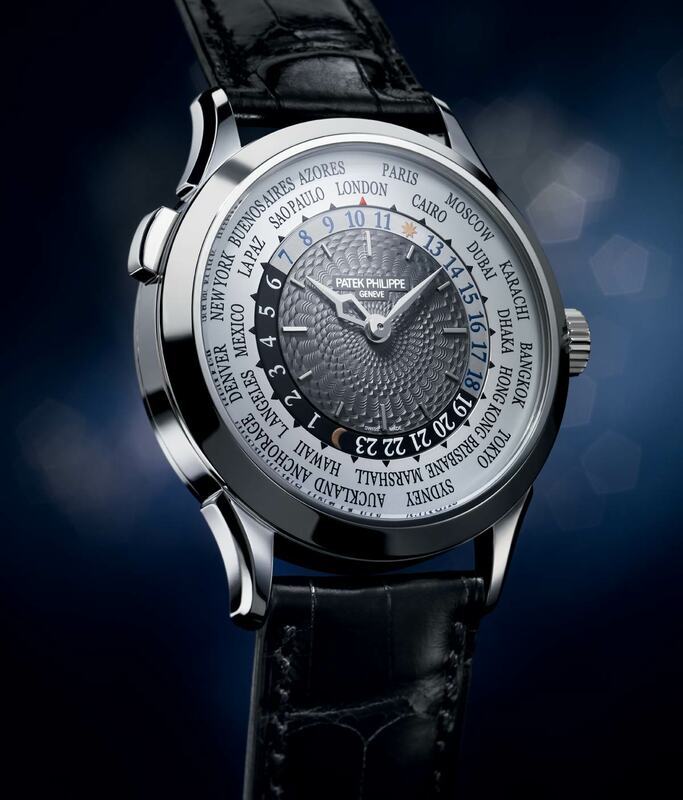 Available from May, the price of the Patek Philippe World Time Ref. 5230 is Swiss Francs 42,300.